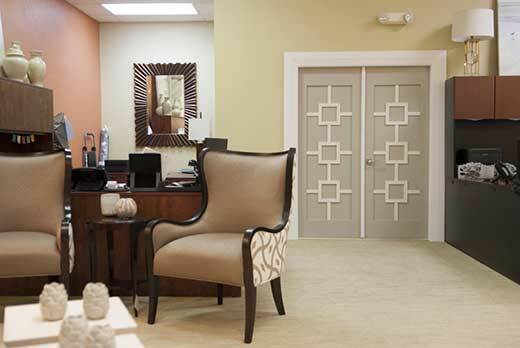 Green doors are also referred to as environmentally friendly doors. They are made of recycled material and can have a core of particleboard, agrifiber, mineral, stave lumber, or engineered composite. Green doors can be manufactured with no urea-formaldehyde, can be fire rated, and have LEED contribution. The fire rating ranges up to 90 minutes. Green Doors are natural insulators and bring a bright, distinguished feeling to the room.